Rottweilers are one of the older breeds of dogs, believing to be descendants of dogs used in Roman times. These massive dogs start out cute and cuddly, but when full grown, are often well over 100 pounds and can be a force to be reckoned with. The Rottweiler is often used as a guard dog, as they are very loyal and protective of their human companions. As with many dogs that are valued for their ability to protect, the Rottweiler can also become aggressive and attack when they feel threatened, regardless of whether there is any real danger. The Rottweilers name came from a town named Rottweil, once home to a Roman bath, torn down to build a church in around 700 A.D. These former Drover dogs become cattle dogs and were called Rottweiler Metzgerhund, used for driving cattle until the 19th century. When cattle driving was outlawed, these hearty dogs eventually found their way into the police service in the early 1900’s. Rottweilers are prized for their loyalty to their human pack, unwavering to the point of stubbornness. They can be prone to separation anxiety, making them destructive when they are left alone. Also, since they were bred for hundreds of years to be a herding dog, they have a very high drive to chase prey. This means they can be great at fetching balls and frisbees. However, it also means they may chase other moving objects such as other animals, and in extreme cases, even humans. When a Rottweiler becomes aggressive and attacks a human, the damage can be devastating. These dogs are large and extremely strong, making them dangerous when the prey they seek is a person. With large jaws and an intense prey drive, they can be unrelenting when pursuing a victim. The injuries they can cause are often severe to the point of even being fatal. In the U.S., Rottweilers are responsible for the 2nd highest among of dog fatalities after Pit Bull breeds. According to the report compiled by Merrit Chifton on dog attacks and maimings from 1982-2013, Rottweilers are responsible for 81 deaths, 294 maimings and 514 injuries with bodily harm. This numbers are far higher than any other breed besides the Pit Bull, with Rottweilers and Pit Bulls having a combined fatality rate of over 60% of all the dog related deaths in the last 30 years. Victims of Rottweiler bites and attacks are likely to have serious injuries that will require extensive medical care. Severe bites can require stitches and even surgery to repair the damage. Also, adult victims may lose time from work while recovering from their injuries. In many dog attack cases, the victim can be left with horrible scarring that may take additional procedures to minimize. The overall financial costs can be extensive. 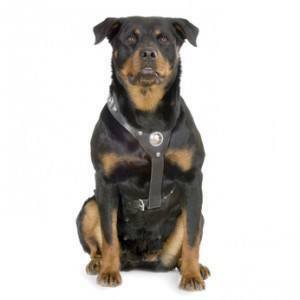 In most cases of a Rottweiler attack, the owner of the dog will be liable for costs associated with the injuries. This can include any medical bills, lost wages and other expenses. Often times, these costs can be covered with the dog owner’s homeowner or renters insurance. Rosenfeld Injury Lawyers LLC has successfully resolved hundreds of dog bite cases on behalf of children and adults injured in these attacks.